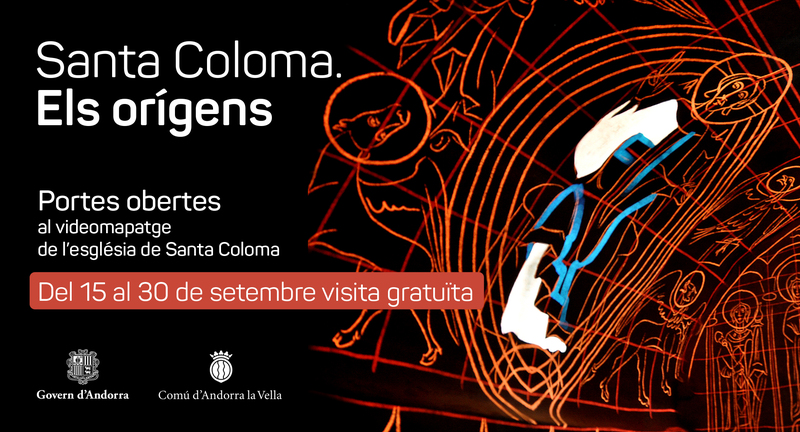 Open days for the projection of the video mapping of the Church of Santa Coloma. Free visits from September 15th to September 30th. Small groups. Entry by order of arrival. Tuesday to Saturday: from 10 am to 2 pm and from 3 pm to 6 pm. Sunday: from 11 am to 2 pm. Timetable may be altered according to religious services.